On March 1, 2016, the Centre for Scottish and Celtic Studies welcomed Christopher McMillan (Glasgow) to discuss ‘The Scots in Ulster and the Colonial “Enterprise” of Walter Devereux, Earl of Essex, 1573-1575.’ Below is this listener’s brief summary of the lecture. Chris explained that this paper is based largely on a specific chapter of his PhD thesis, “The Scots in Ireland: Colonialism, Culture and Memory, 1315-1826”. The chapter is entitled “Militarisation to Plantation: Policies, Proposals and Projects in Ulster, 1551-1575.” His research involves a close reading of the sources from this period, which are written from an English perspective, to extract information concerning the Gaelic Scots to create a comprehensive understanding of sixteenth century colonial Ireland, Anglo-British imperialism, and the role that the Gaelic Scots played in the pan-Gaelic resistance against it. The sources he utilised included both literary and non-literary texts of conquest (state papers, pamphlets, letters and biographies). This paper was primarily based on Walter Devereux, the Earl of Essex’s letters written during the ‘Enterprise’, which describe the impact of the Scots, the difficulties he encountered in overseeing a colonial project, and his increasing frustration with the situation. During the 1550s, there was an increase in the Scots population in northeast Ulster, which led to clashes between the MacDonnells, O’Neills, and the English. During this period, the English viewed the Scots as “a bad influence” on the Irish; the English sought to placate the Irish and then use the Irish to drive the Scots out of the realm. During the mid-1560s, Shane O’Neill routed the MacDonnells at Queen Elisabeth I’s behest. He was soon murdered by the MacDonnells in revenge, although Chris mentioned that they likely had the English’s support in doing so. Shane’s brother, Turlough O’Neill, replaced his brother as the leader of the O’Neills but was willing to work with the MacDonnells. A shaky alliance was forged when he married Agnes Campbell, the widow of James MacDonnell, and her daughter married an Irish chief in 1569. 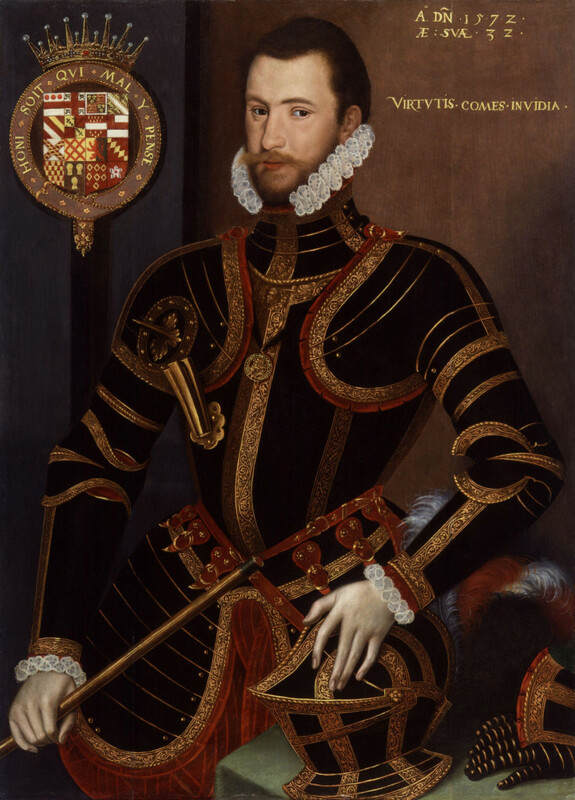 This sudden turn likely led to increased feelings of ill will from the English towards the Scots in Ulster, and Walter Devereux, First Earl of Essex, was charged with his ‘Enterprise’ in 1573. The Queen partially financed the ‘Enterprise,’ and told Essex to give consideration to the Irish there, because they were unruly subjects that had not been protected from the influence of the Scots. When Essex arrived in northeastern Ulster, he began the colonisation by creating fortifications, introducing towns, imposing laws, and destroying any towns or individuals who rebelled against him. He quickly realised that a great deal of bloodshed would be required against both the Irish and the Scots. Essex eventually gained the submission of Brian MacPhelim O’Neill, whom he believed would join him against the Scots. Brian eventually revolted against Essex and joined the Scots instead, which frustrated Essex and caused him to lose trust in the Irish. In addition to Essex’s issues with the Gaels, his colonists did not support him in his military ventures because most viewed his ‘Enterprise’ as a private venture instead of one supported by the Queen. His letters to the Queen requested more input on her part, but she replied that she trusted his judgement as she was not in Ireland herself. Around this time, Essex became far more aggressive in his approach. Essex first targetted Turlough O’Neill, who he viewed as the lynchpin of the rebellion. After Turlough ambushed Essex’s forces, Essex began burning and raiding the surrounding lands. In mid-1574, Brian O’Neill submitted to Essex again and joined him against the Scots. Essex and his followers were invited by Brian to a feast in Belfast Castle a few months later. In a culmination of Essex’s frustrations and anxieties, he ignored the rules of hospitality and slaughtered Brian O’Neill’s family in front of him. Brian O’Neill was then taken to Dublin, where he was murdered. In May 1575, a series of letters between the Queen and Essex suggested that his ‘Enterprise’ in Ulster should end and defended her apparent lack of guidance. Chris explained that her language in the letters indicates that she was encouraging him to act independently in one last attempt to save the ‘Enterprise.’ Essex increased his efforts against the Gaels, refocused on the Scots and, in July, slaughtered a group of Scots trapped in a bog in the territory of Clandeboy. He wrote to Queen Elisabeth that he had routed the Scots from Clandeboy, which he described as “desolate and without people.” He still viewed the Scots as a threat, even after this success, and was further resolved to expel the Scots entirely from Ireland. In late July, Essex then turned his sights to Rathlin Island. It was the Scots island stronghold off the coast of Antrim, a strategic point between Western Scotland and Northern Ireland. This stronghold was frequently targeted by the English during the 16th century as it was viewed as the stepping stone between Scotland and Ireland. Essex and his men trapped the Scots inside their fort for several days and bombarded them with English ordinance. Despite the Scots’ request to be spared and to be allowed to return to Scotland, the English Captain Norreys refused them. This has since been named the Rathelin Island Massacre, which resulted in the deaths of somewhere between 400-600 men, women and children. After Essex sent her a letter describing the events, the Queen praised Essex and his men for the retaking of Ireland. The ‘Enterprise’ was then abandoned, and Essex died of dysentery in Dublin shortly after. In the end, his brutal ‘Enterprise’ had only exacerbated the situation and provoked collaborations between the Gaels against the English, increased hostility towards the English colonists, and led to an increase in violence between combatants and non-combatants. Chris summarised by stating that he hoped that this paper had shown that the Scots in Ulster were, in practical, strategic, and ideological terms, central to the development of English colonialism in the region. They also played a role in the explosion of colonial literature in 1560s and consequently influenced Anglo-British imperialism. Our seminar series continues on 8 March 2016 with Nyree Finlay (Glasgow) to discuss ‘Anticipatory Ancestry: why relational pasts matter.’ This will be held in Room 202, 3 University Gardens at 5.30pm.